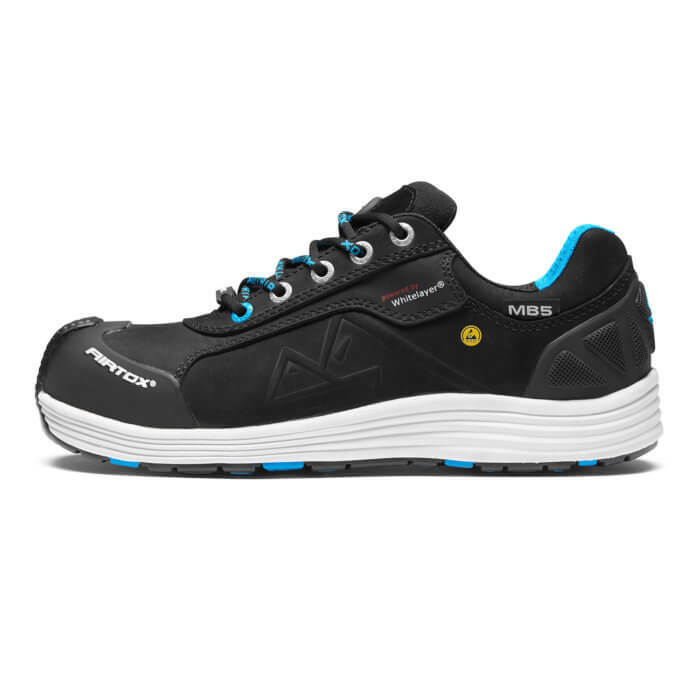 MB5 safety shoes belong to the M-series and are the first safety shoes in the world equipped with WHITELAYER® nail protection. WHITELAYER® is a high-tech ultra strong and lightweight textile material, originally developed in the United States in connection with a special project for US Navy Seals, who required bulletproof vests that were particularly lightweight and flexible. The material is extremely flexible and at the same time stronger than steel. 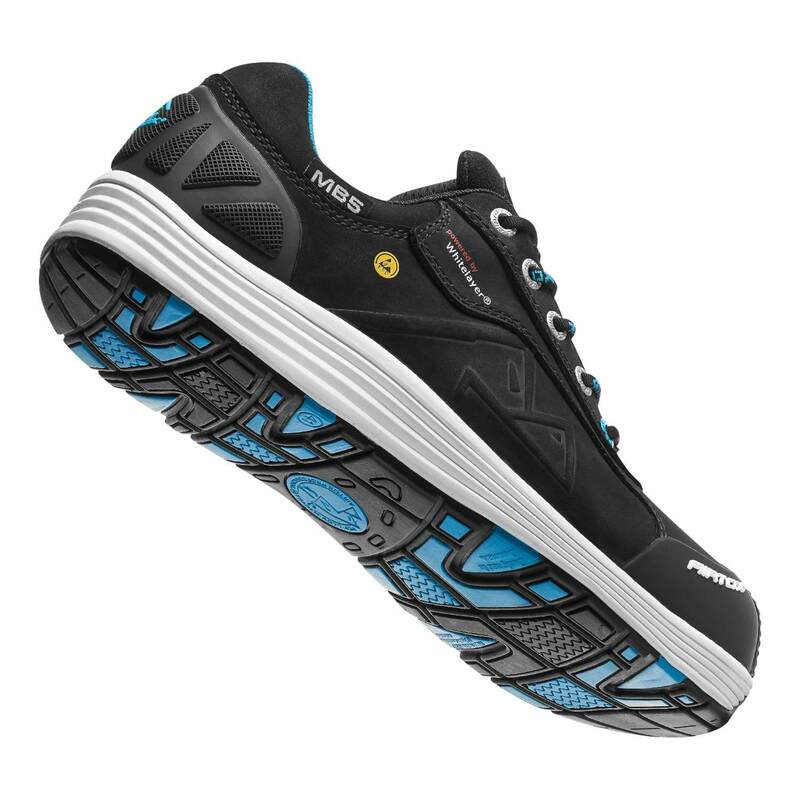 The integrated WHITELAYER® safety layer in MB5 safety shoe is 55% lighter compared to other textile safety layers. As an added bonus, the material is also breathable and sweat-absorbing. 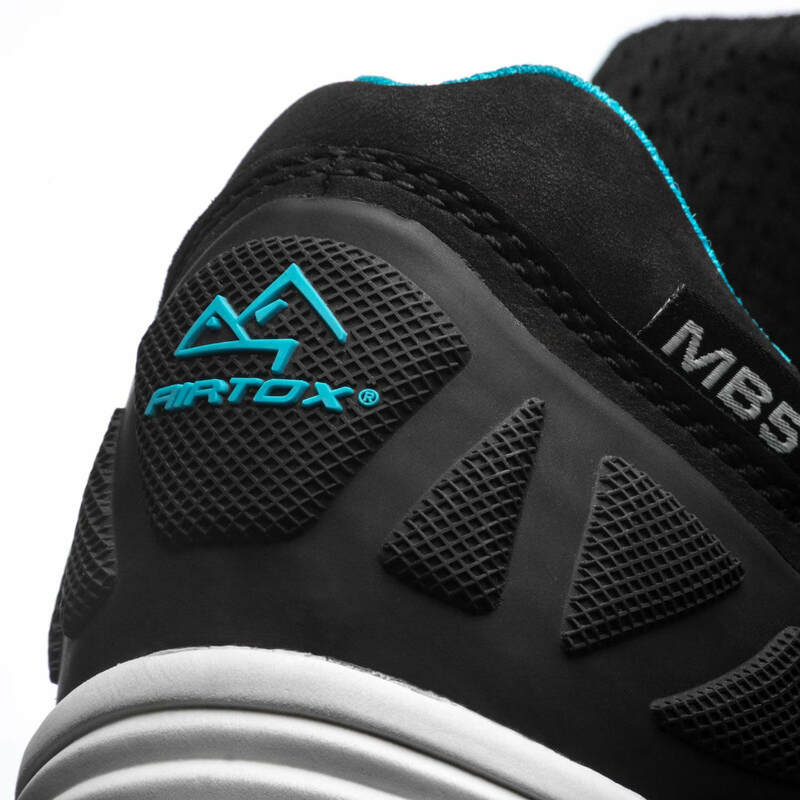 Above all MB5 is a jaw-dropping professional shoe that will blow your mind away. 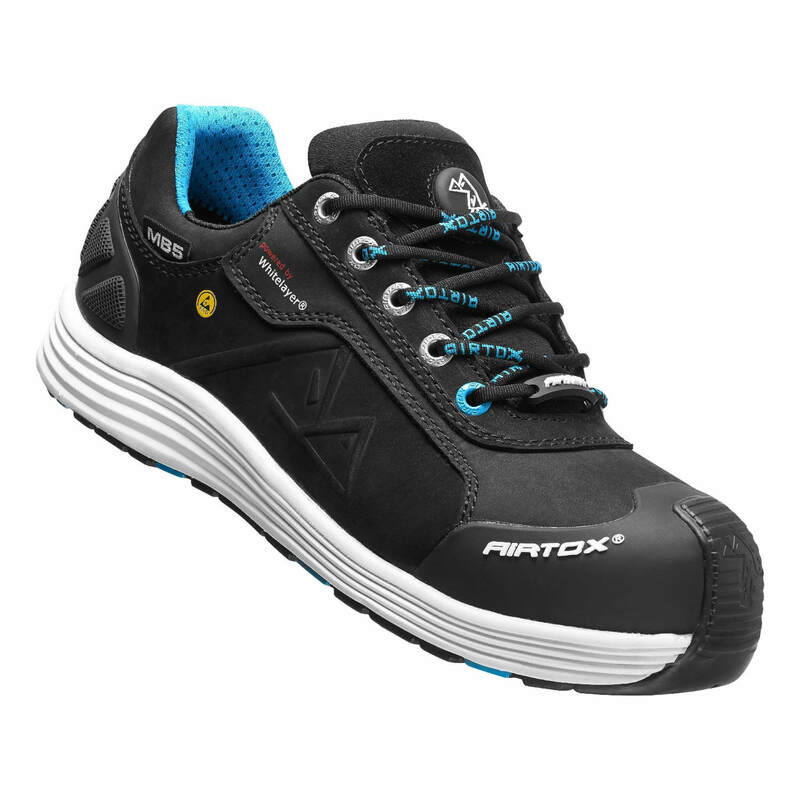 The style offers exceptionally good comfort and at the same time very slip-resistant, water repellent, heat resistant up to 300° C… and of course with full safety. 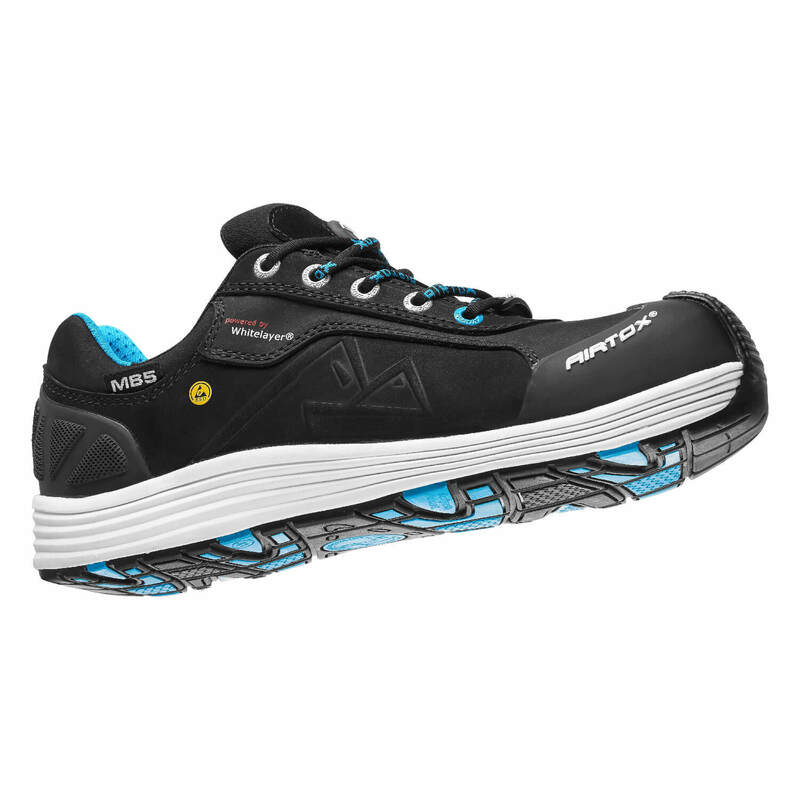 Available in one color version: black with blue and white details (check also MB7 for midcut boot version).